Right-click on an empty area inside the window, select properties. You have now successfully imported the package. Click the button for the package and choose your package. Success. You may now schedule and execute the job. The developer had a saved the package with a stricter security level. Advanced Event Viewer 2 allows you to view all the Event logs of all your servers in a single view. The program is easy to install and use. It works without agents making it the ultimate event viewer for your network. Advanced Event Viewer is the only tool that allows you to retrieve event log information from all your Windows Servers quickly and easily, and works without Agents. Making the installation and usage effortless and without risk. Imagine all Event Logs of all servers in a single short consolidated list. Events that occur hundreds of times are now consolidated. You can select to view only the Errors and Warnings, you can filter your view. Advanced Event Viewer gives you full control. The program also provides direct access to online information regarding the Event Log you selected, including the Microsoft Knowledge base and Google search. Free wrappers for PHP and ASP.NET exist. For more information on jqGrid wrappers, please, check out the other sections of the web site. There are multiple machine.config files in your \Windows\Microsoft.net\Framework\vXXXX\Config directories. Check both of the v2 and v4 machine.config files for the following (four files total you’re looking at here). 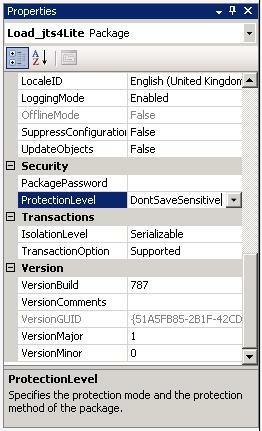 Notice the CLOSING tag at end of the <DProviderFactories> last item, in this case the “Microsoft SQL Server Compact Data Provider”, and then there’s another SELF CLOSING <DBProviderFactories> tag. Clean this up by keeping the one after the last item and deleting the self closing one at the end. I rebooted, walked away, came back and it worked . . . so be SURE to reboot, walk away and come back or might not work. Microsoft seems to have snuck in a new tool to help diagnose/troubleshoot issues in SharePoint. 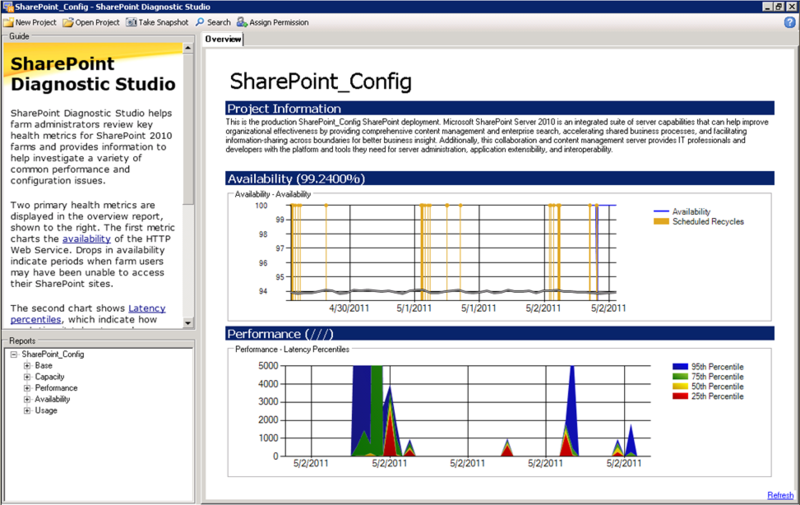 It is part of the Microsoft SharePoint 2010 Administration Toolkit v2.0 and provides SharePoint administrators with a unified interface that can be used to gather relevant information from a farm, display the results in a meaningful way, identify performance issues, and share or export the collected data and reports for analysis by Microsoft support personnel. Selecting “New Project” and accepting the server will give you a dashboard.similar to above and access to reports in the following categories: Base, Capacity, Performance, Availability and Usage. NOTE: Make sure you launch SPDiag 3.0 as “Administrator” if you are running it on one of the SharePoint Servers, you can also run it from a client workstation provided some additional configuration has been performed. 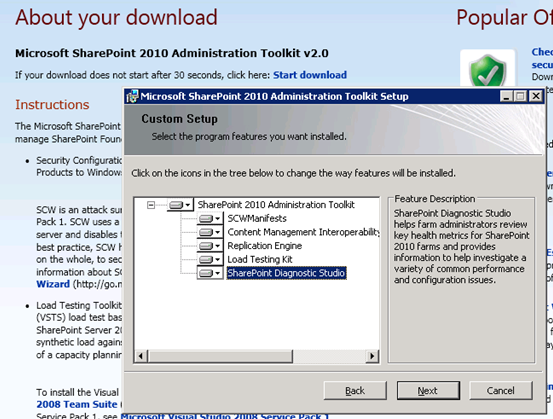 SharePoint Diagnostic Studio 2010: Can be installed on any computer running 64-bit Windows 7, or on any server running a 64-bit Windows operating system. Requires Windows PowerShell 2.0. To find out more about SPDiag 3.0 including: What’s new, Installing and Configuring, and Using it please check out the link here on TechNet. The Microsoft SharePoint Team Blog has a great article detailing the features of SharePoint Diagnostic Studio. SharePoint Diagnostic Studio in combination with SharePoint Health Analyzer and System Center Operations Manager gives an unprecedented view into your SharePoint Farm. Let’s say your are using MS CRM 2011 inside of Outlook and you need to manage email from more than one email account. You have your primary email account (you@yourcompany.com) and then you have an email account assigned to you by your largest client (you@yourclient.com). You want to use MS CRM to manage both accounts, but you discovered that email that goes into the you@yourclient.com inbox can’t be tracked in MS CRM. You get the “Only items in the default Microsoft Outlook store can be promoted to Microsoft Dynamics CRM” message when you try to track a message. Open Rules and choose Manage Rules & Alerts. Choose “Start from a blank rules” and pick “Apply rule on messages I receive”. Click next. Select the condition “through the specified account” and put a check in the box. Click on the hyperlink in the rule description and choose the you@yourclient.com email address. Click next. Put a check next to “move it to the specified folder” AND a check next to the “delete it” option. Click the “specified folder” hyperlink and choose the inbox for inbox associated with the you@yourcompany.com email account. Click next. If you have exceptions to this rule, enter them on this panel. Click next. Name your rule “Move messages from you@yourclient.com to you@yourcompany.com“. Make sure the check box to turn on the rule is checked. Click finish. This is a client-side rule and runs whenever Outlook is open. When Outlook is running, the messages sent to the you@yourclient.com will be moved to the you@yourcompany.com inbox and be deleted from the you@yourclient.com inbox. You can now use MS CRM 2011 track in CRM to record your communications from your client. When you reply to a message sent to the you@yourclient.com Outlook will default to sending the message from the you@yourclient.com email address. If you are in your you@yourcompany.com inbox and compose a new message it will use your default email account to send the message. If you need to send the message from you@yourclient.com you need to click from button on the email message and choose the correct from address. You can manage any number of accounts in this fashion. You simply setup an Outlook rule for each account. Since the messages are deleted by the rule, you don’t have any messages remaining in the you@yourclient.com inbox, unless you set some exception rules. You are currently browsing the Marcello Tonarelli Blog blog archives for February, 2014.